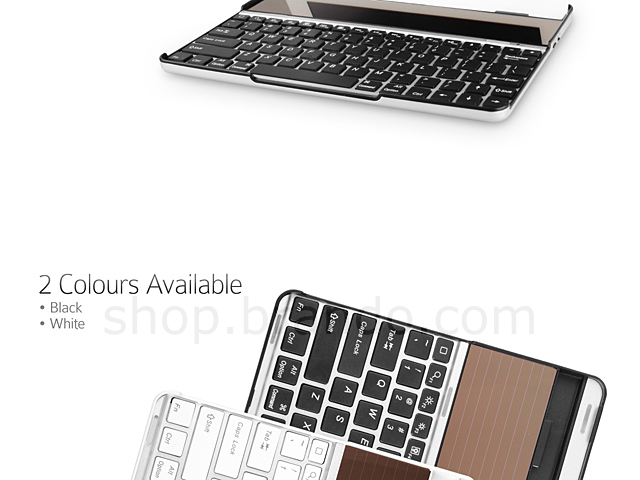 This Solar bluetooth keyboard built in powerful solar panel which made of noncrystalline silicone accepts all kind of light source, including lamp light. 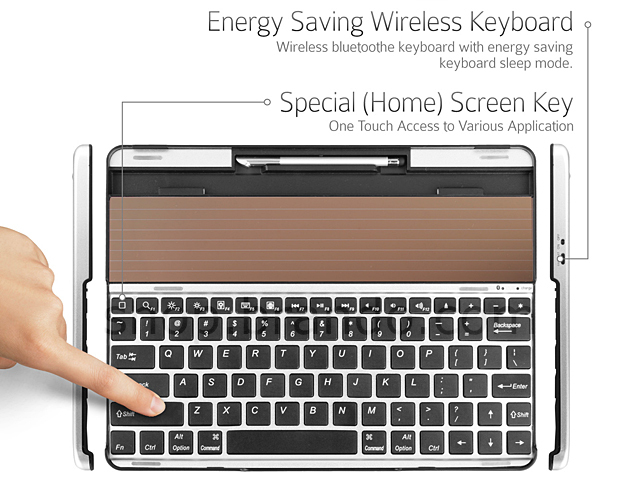 Built-in rechargeable battery lasts for approximately 40 hours after full charge. 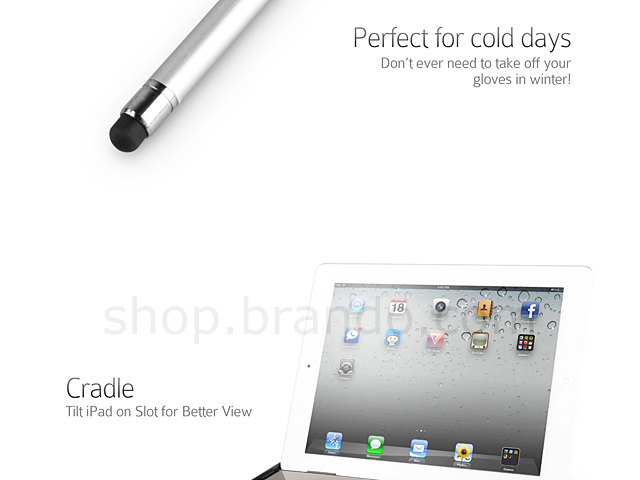 Modern design with quiet, water-proof and dust-proof strokes. 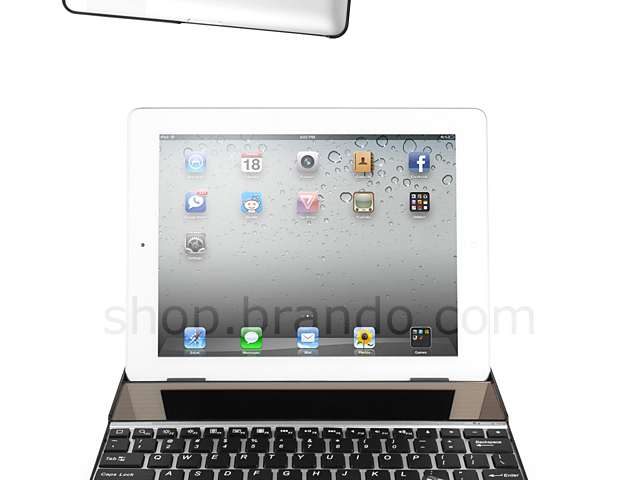 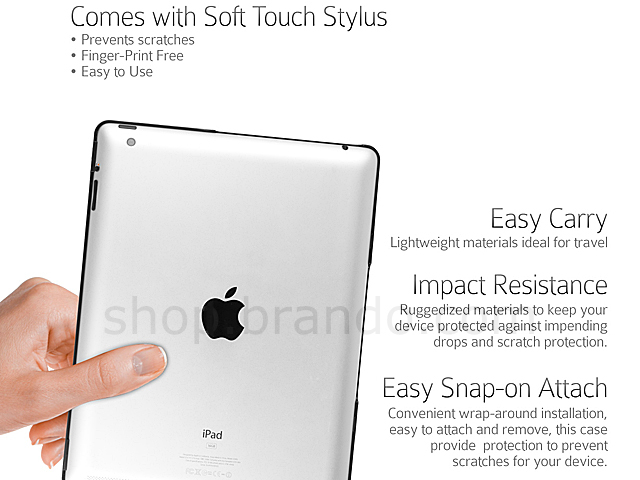 Tilting your iPad on the slot can offer you a comfortable viewing and typing position. 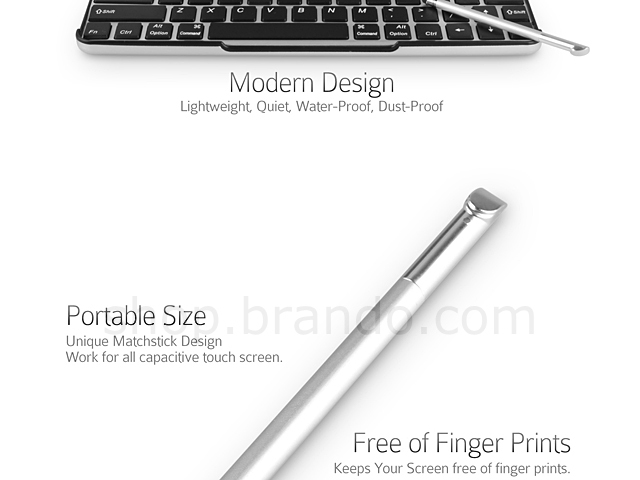 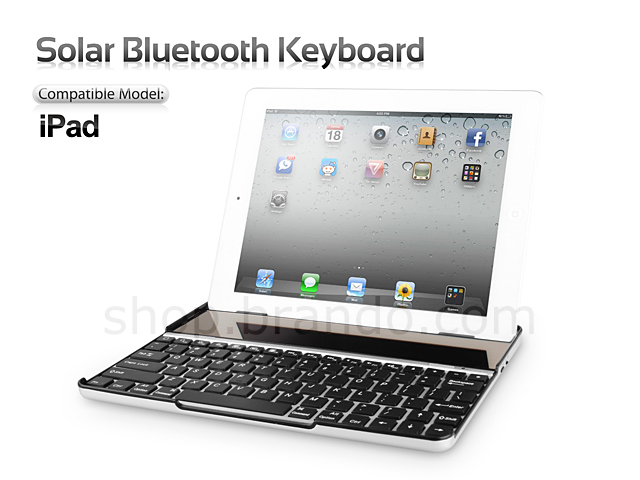 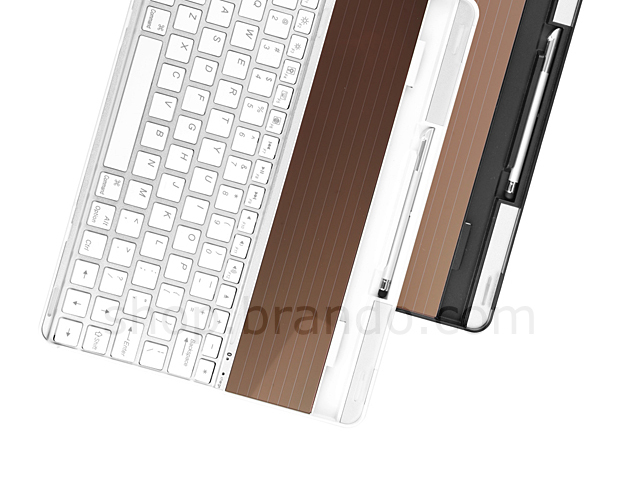 This keyboard also offers easy access to your iPad, special [Home] screen key for one touch access to various application. Lightweight and easy to carry, great for outdoor users.